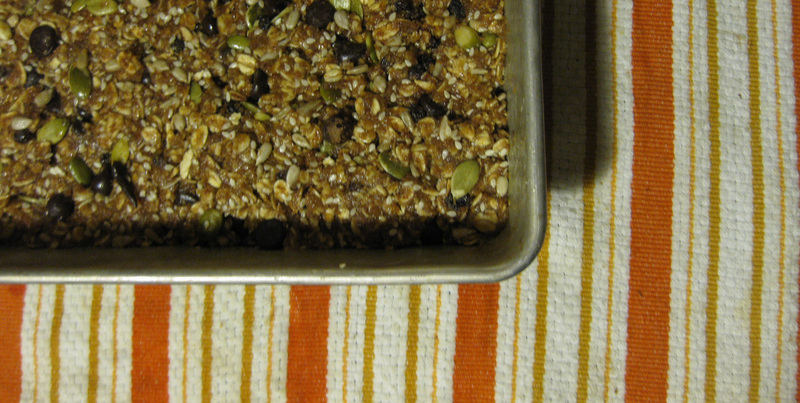 And I got a request to make “seedy bars.” With oats. Hmm. You know, the great-when-you’re-hiking kind of bar. Not the shady drinking hole you probably all thought of first (although I can totally dig those, too). I have no such recipe. So I Google-d. And came up with this idea with some significant alterations. But I stir and assemble. I throw in pumpkin seeds (because I heart pumpkin and think the green color’s a nice addition). And besides, I have a LOT of pumpkin seeds. I’m sure you’ve all done it before … unleashing the flow of seeds into your bag in the bulk food section and ending up with WAY more than you intended. But we love pumpkin, remember? And wow this pan is amazingly heavy. It bakes. I cut. They cool. 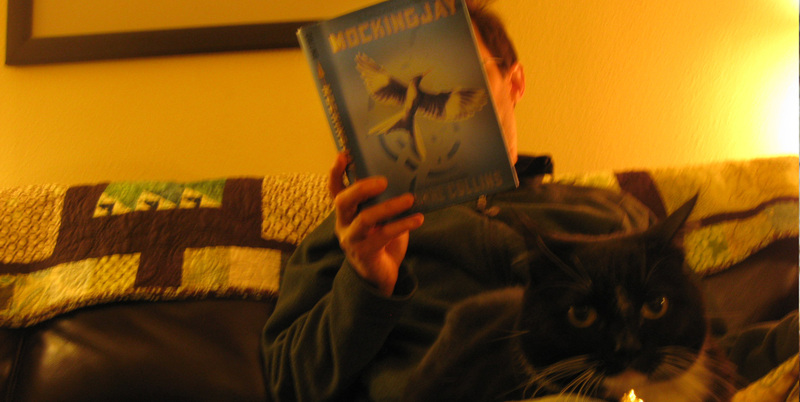 I interrupt reading-company. And we sample. Nice. They’re definitely seedy. And bars. And they’re filling, whoa. 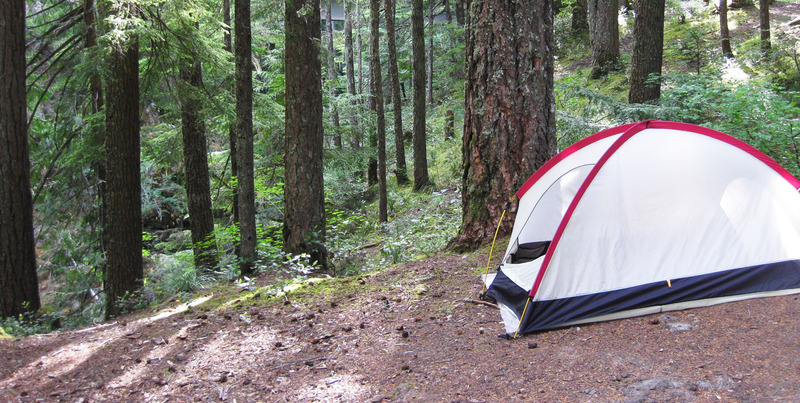 So on a backpacking trip? It will keep the hikers happy I hope. If I can convince myself to lug all the extra weight, that is. Rating: 4 of 5 PBRs from that other kind of seedy bar. I think this recipe could be improved if you roasted the seeds first so they’re crunchy and don’t get lost in the gooey bar part. Otherwise? Yum. 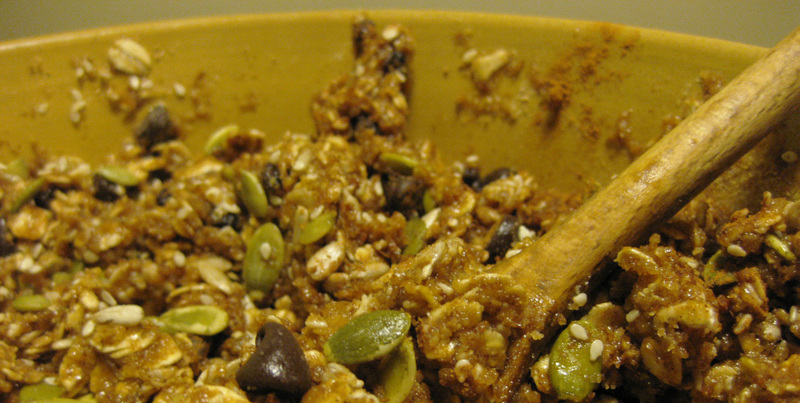 Adapted from the AllRecipes.com Bird Seed Energy Bar recipe by Amy E.
Preheat the oven to 350 degrees. Lightly grease a 9×14 baking dish. Mix the oats, wheat germ, cinnamon, ground flax and flour together in a large bowl. In a separate bowl, whisk together the eggs, honey, agave, oil, vanilla, and salt until evenly blended. 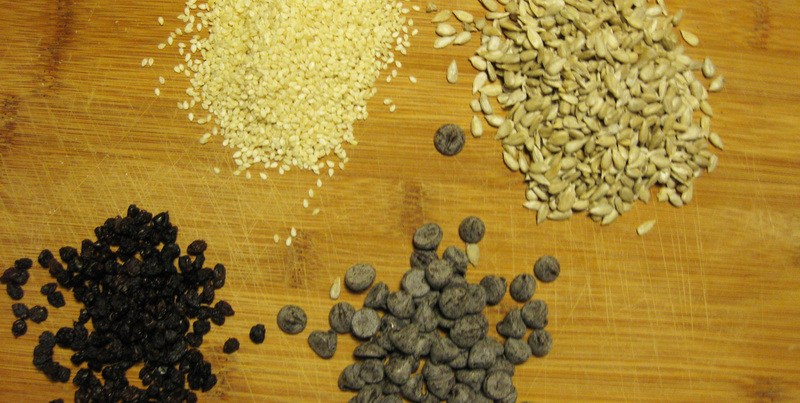 Stir into the oat mixture. Last, stir in the seeds, fruit and chocolate chips. Use your hands to mix the ingredients, and press the mixture into the prepared pan. Bake in preheated oven until the edges are golden brown, 20 to 25 minutes. Cool completely in the baking dish. I found it helpful to cut it while it was still warm. Cutting once they cooled encouraged them to break. I would advise roasting the seeds in the oven first, to give them a little crunch on the bars. Also, I removed all sugar from the recipe. You may want to add some, but it’s plenty sweet with the honey, agave, chocolate and fruit. This entry was posted in 4 Wine Glasses, Appetizer, Breakfast, Dessert, Vegetarian. Bookmark the permalink. This is perfect! 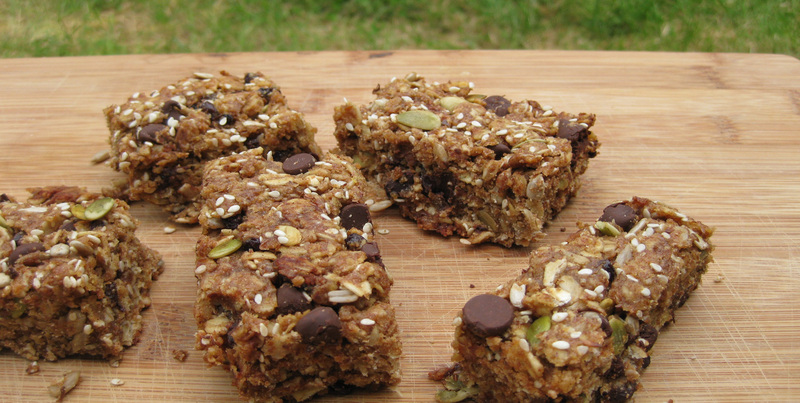 I really want to make my own granola bars, but I have no idea how to go about it. I will definitely be trying this.